I am aware that participating in any Powell River Tennis Centre activities involves many risks, dangers and hazards including, but not limited to: impact or collision with other tennis players, spectators, officials or coaches, weather conditions on outdoor tennis facilities, impact or collision with equipment or objects used in connection with tennis; failure to wear appropriate footwear or clothing while playing tennis, playing against or with individuals of various skills and experience; negligence in instruction provided by certified or non-certified staff; overexertion and failure to participate safely within one’s ability or physical condition or lack of conditioning or fitness; risk of bodily injury including physical impairment and serious disability; participating with or without a certified instructor; impact or entanglement with obstructions, apparatus, equipment, surfaces or walls; defective, dangerous, or unsafe condition of the facilities or equipment; loud amplified music or instruction; contact or collision with equipment, props, instructor or other participants; theft; consumption of food and drink, negligence of other participants and non-sport club members; dangerous or unsafe travel by automobile, bus, plane or other mode of transportation; severe weather conditions; unknown vehicle condition and maintenance; cancellations; and NEGLIGENCE ON THE PART OF THE POWELL RIVER TENNIS CENTRE OR ITS EMPLOYEES INCLUDING THE FAILURE ON THE PART OF THE POWELL RIVER TENNIS CENTRE OR ITS EMPLOYEES TO SAFEGUARD OR PROTECT ME FROM THE RISKS, DANGERS AND HAZARDS REFERRED TO ABOVE. I am also aware that the risks, dangers and hazards referred to above exist within a variety of facilities whether indoor or outdoor, including but not limited to: roadways, parking areas, shower rooms, hallways, stairs, elevators, change rooms, meeting rooms, eating areas, banquet rooms, fields and other facilities. 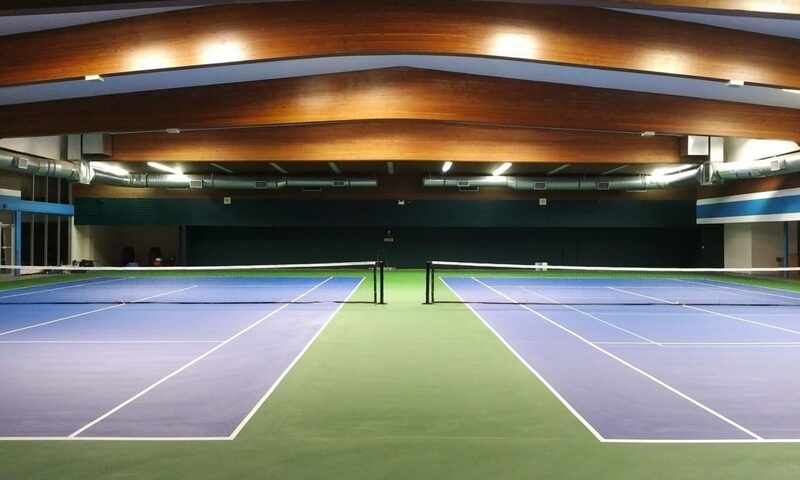 I AM AWARE OF THE RISKS, DANGERS AND HAZARDS ASSOCIATED WITH MY PARTICIPATING IN ANY POWELL RIVER TENNIS CENTRE ACTIVITIES AND I FREELY ACCEPT AND FULLY ASSUME ALL SUCH RISKS, DANGERS AND HAZARDS AND THE POSSIBILITY OF PERSONAL INJURY, DEATH, PROPERTY DAMAGE AND LOSS RESULTING THEREFROM. I am also aware that the Powell River Tennis Centre does not carry accident or medical or dental insurance on my behalf. 2. Any litigation involving the parties to this Agreement shall be brought solely within the Province of British Columbia and shall be within the exclusive jurisdiction of the Courts of the Province of British Columbia.In entering into this Agreement I am not relying upon any oral or written representations or statements made by the Releasees with respect to the safety of the participating in any Powell River Tennis Centre activities other than what is set forth in this Agreement.I HAVE READ AND UNDERSTAND THIS AGREEMENT AND I AM AWARE THAT BY MAKING THE PAYMENT FOR THE SERVICES OF POWELL RIVER TENNIS CENTRE I AM WAIVING CERTAIN LEGAL RIGHTS WHICH I OR MY HEIRS, NEXT OF KIN, EXECUTORS, ADMINISTRATORS AND REPRESENTATIVES MAY HAVE AGAINST THE RELEASEES.